Welcome Back to Season 7 Episode 2! I am really excited to start this new season of the year with something new. If you had missed our newsletter or blog announcement, I'm trying a new format in the new year where I'm live broadcasting the interviews with our guest experts online. You can now watch the podcast interviews online while we are recording. We've recorded four episodes so far and there is one coming up with Amy Powers this Friday. On this episode, I will be interviewing Amy about target demographic and psychographics, as well as educating agents on the value of home staging. Check out the guest line up here and sign up for the live webcasts. New information will be updated as I am in the process of booking more guests for the show. I'll be updating that blog post as I finalize interview schedules. I'll also announce it on the podcasts and emails as well. If you want to sign up for our newsletter, you can do so by going to our website and access the show notes. On today's episode, I have the fortune to interview Nicole Hamilton, the founder of homeownering.com, a company dedicated to helping homeowners have great financial outcomes. On today's show, we talked quite a lot about ways homeowners can maximize the profits and value of their homes. Nicole also brings a unique perspective since she is a serial home buyer and seller. She is also the author of Avoid the Money Pit, Turn Your Home into a Financial Powerhouse, which I had the opportunity to read before the interview. The book is easy to read and digest and I highly recommend it. Nicole is the founder of Homeownering, a company dedicated to helping homeowners have great financial outcomes. Nicole launched Homeownering to give home owners and home buyers more sophisticated insight into the potential real estate outcomes of what is often their biggest asset, their home. Homeownering gives home buyers and homeowners tools to get independent insight into home equity, home improvement, and home financing, and launched a comprehensive guide to homeownership in 2017. I love your business concept! What made you decided to start your business Homeownering.com? I read in your book that you are a serial home buyer and home seller. What are some of the biggest lessons you’ve learned through the processes? When you are buying a home, what are you looking for? As a serial home buyer, what do you think about home staging? What is the process of selling a home? As a seller, how much homework do you do before selling a home? How about as a buyer? What is the process for you when it comes to buying a home? When you are buying a home, what are some of the red flags that will turn you away from the house? One of the things I really like about your book is that you had pointed out some of the things that are not generally known to the homeowners, but by being aware of them, you can gain the necessary control over the decision-making process and feel empowered to achieve the best financial outcomes. That’s how I frame home staging as well. While the sellers may not get as much money as they want out of the sale, or there are a lot of factors that can impact the sale result, but by doing all the necessary preparation and staging the house, will help to decrease those risks. Can you talk about what are some of the surprising facts that are not generally known to homeowners? How can a homeowner lay the groundwork to get the best financial outcomes? I really love that in the book you talk about both the emotional ties to the home from both buyers’ and sellers’ points of view, as well as leveraging the home as a financial tool. So what’s the balance here? Obviously, we want to enjoy our home and make it ours, so that can be customizations, remodeling for our personal taste, which may be great for ROI for emotional reasons and enjoyment, but these types of customizations usually give very little return on investment back money wise. So how can a homeowner find that balance when it comes to financial decision that will impact the resale value? How does real estate investor differ from residential homeowners when it comes to buying houses? What can homeowners learn from the investors? In your interviews with home buyers, what are some of your findings? Does buyers really buy based on emotions instead of financial analysis? And what does research say about home as an investment? What are some of the factors that make your home a bad investment? What are some of the factors that make your home a great investment? Before we go to the last question for the show today, can you tell us where can our audience find you and how they can find your book? A last: What is the one top tip you will give to homeowners in regards to maximizing the value of their home? Share the show on social media! Donate to support the hosting costs for the website and the podcast. You can make a donation through the show notes or on the sidebar of our site. If you want to support the show and keep it going, you can do so by leaving a review and rating on iTunes, that will help other people to find our show. If you find the podcast helpful to your home sale and would like to donate a few bucks to help with the hosting of the show, there’s now a donation button on the blog sidebar to your right, you can donate $5 or more to help with costs associated with the show. I have been helping home sellers and real estate agents sell their listings since early 2006 and had staged $500M+ worth of real estate. 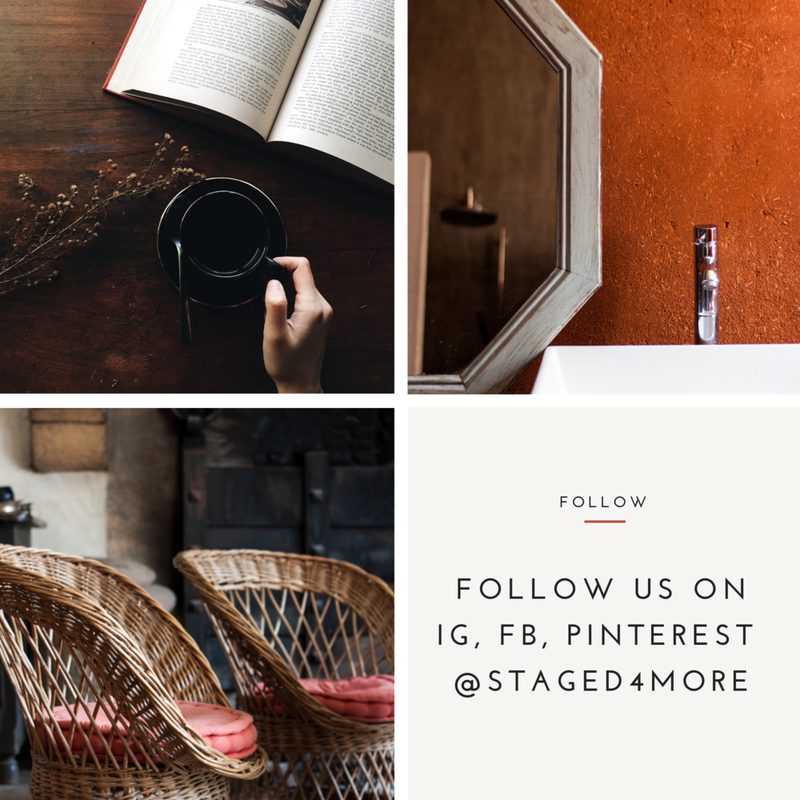 In the last few years, Staged4more is relaunched as a School of Home Staging where we offer home staging courses for home owners (30-Day Home Staging Challenge) and business builders for home stagers (Launcher and 6-Figure Floor Plan). We also have plenty of free resources on the site, like our home staging blog and the podcast The Home Staging Show. Hi there, thanks for visiting our online home. This is a hub for all things home staging. We strive to provide the best information on everything home staging, ranging from how-to’s to home staging business hacks. In additions, Cindy interviews top experts in the real estate and home staging industries through The Home Staging Show podcast, which is free to download and listen. Recently, we also added a staged home tours feature where we showcase homes staged by top stagers around the world. Poke around, stay as long as you like. Want more information about the site? Visit our about page here. Do You Have an Amazing Home Staging Project? If so, we would like to feature your work! It will look something like this. If you’re interested, apply and send us your staged properties here. We would love to toot your horn and feature your beautiful work! Donate to support the hosting costs for the website and the podcast. 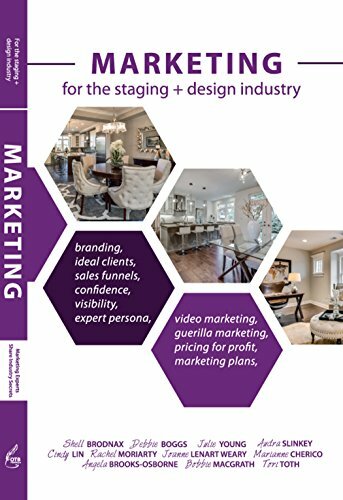 #3 of Top 100 Home Staging Blogs and Websites For Home Stagers in 2018. Thank you for your support! Affiliates Links, Sponsorships, Blog Posts, Guest Bloggers, Grammatical Errors, etc. Sometimes in our blog posts, we may have affiliate links or sponsorship links. This means that we receive a small perk when you click on the link, but it does not cost you anything if you purchase through our affiliate links. It's just another way for us to support the costs of running the site and creating content. We often write and have guest bloggers contribute content for our home staging blog. While we do our best to curate the best content for you, we cannot guarantee the accuracy of content, especially if you are reading posts from ages ago. You should always consult a (or several) local real estate expert(s) who know your market well. Especially those decisions that will cost you moolahs to accomplish. Lastly, if you see any grammatical, spelling or whatever error on this site, would you be so kind, send us an email and tell us? So we can fix it (or them)? A snarky emails criticizing free content that benefits your bottom line is not really very productive nor very nice. Thanks for being so cool and supporting us since 2006. We really appreciate you and will continue to do our best to provide you with values and lots of goodies.